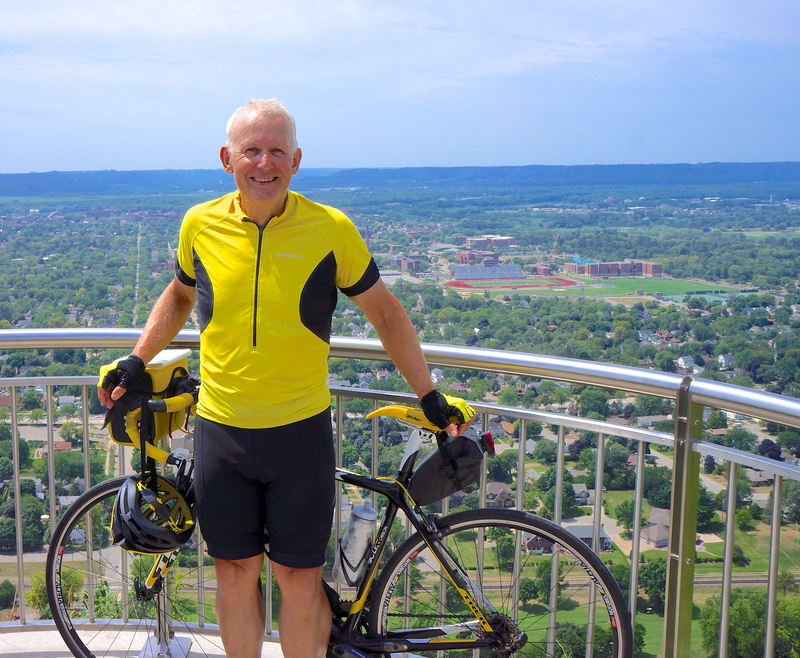 After arriving early in La Crosse, WI, Doug, Jim and I decided to bike 5 miles up to Grandad Bluff overlooking La Crosse and the Mississippi. 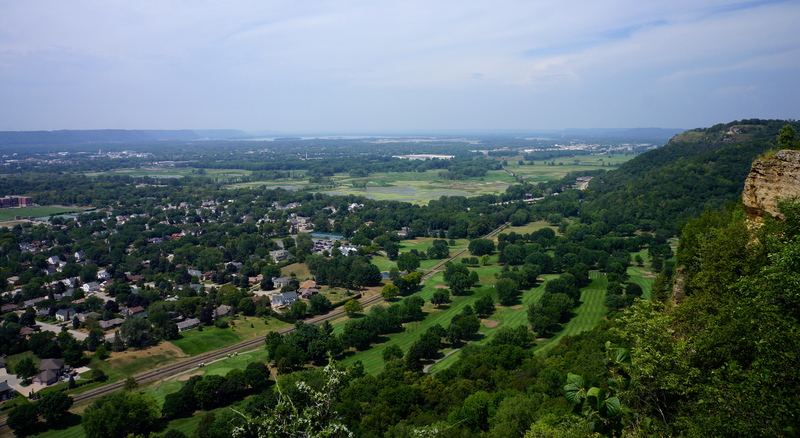 This is a west view from Grandad Bluff. Today’s ride may be the shortest of the tour. 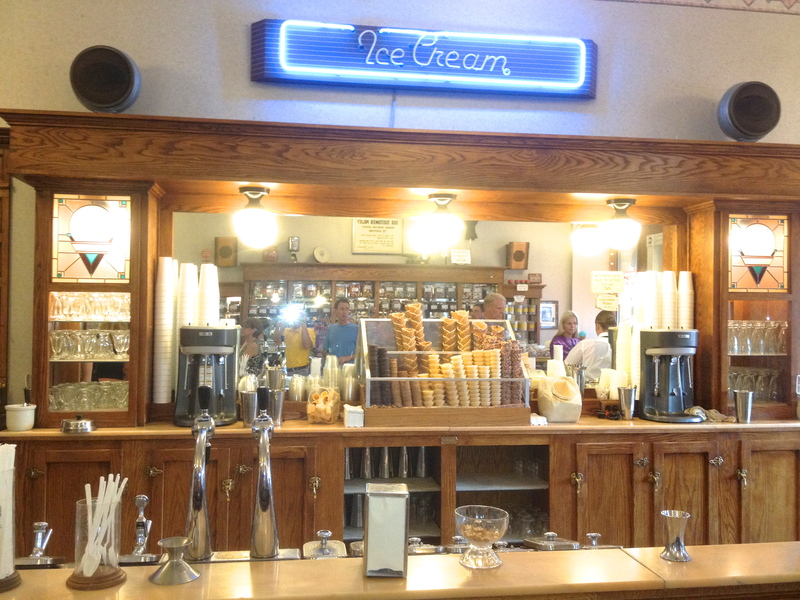 However, Dale and Diane wanted to be sure that we had time to sightsee La Crosse, WI which was a great idea. There are been certain towns on our tour that have been engaging and make me want to come back, i.e. Sand Point, ID, Whitefish, MT, Fargo, ND, Stillwater, MN, Prescott, WI, and Red Wing, MN, and La Crosse, WI certainly makes that list. We had to find a detour about 20 miles into the ride today due to a road closure on Route 7 near Pickwick, MN. The detour we selected made the ride shorter than planned (40 miles), but was more challenging – we had a long 10%-11% grade climb to get to the top of the bluff. Fortunately, the weather was overcast which kept it from getting extremely hot. 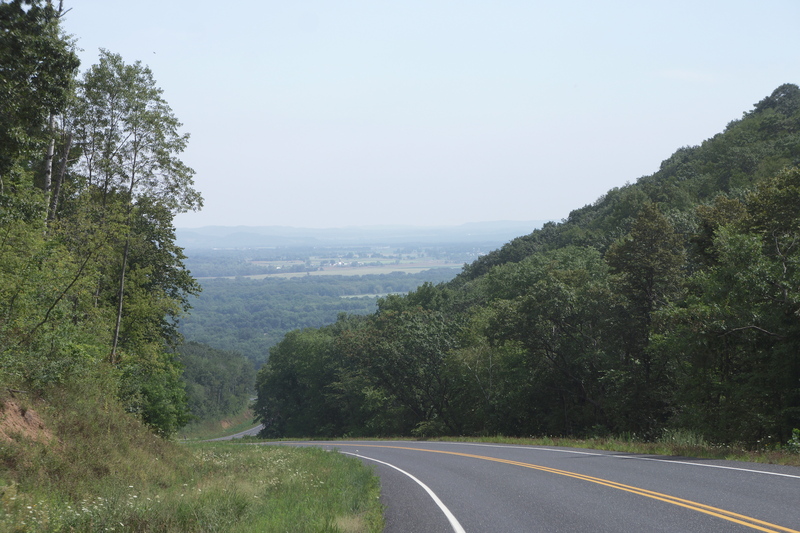 While I started the climb with my riding companions and easily made it up the top of the bluff (as judged by my heart rate), they were out of sight quickly – I estimate that they can ride about 3-4 mph faster than I on the flats and half that on the tough climbs. However, several times on the tour I have had the opportunity to join them and make a foursome on the flats/short rolling hills by drafting. It was a great thrill and highlight to be cruising along at 20+ mph in a tight group of riders (on one occasion for 12 miles). I wish I had a picture of the four of us riding together. 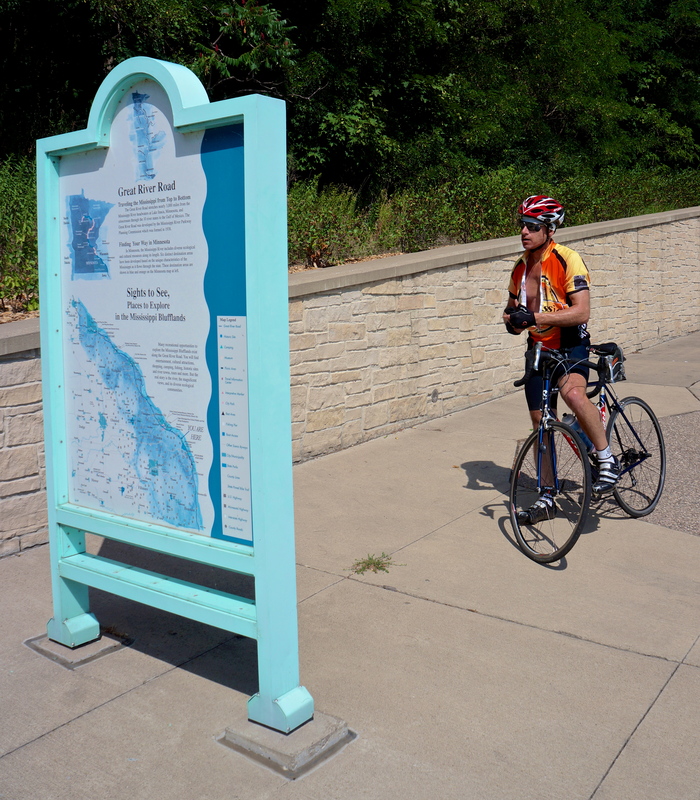 Mile 20: Doug learning about the Blufflands. 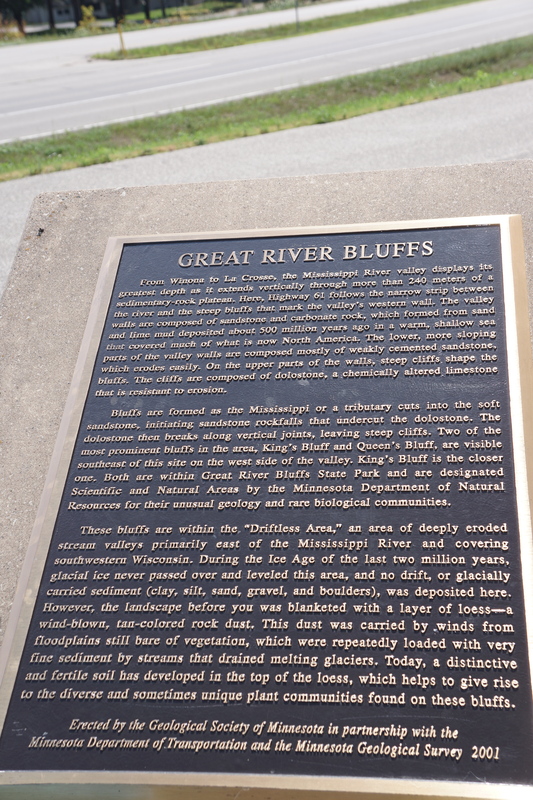 Mile 21: View half way up 11% climb on Route 3 (near Great River Bluffs State Park) to a bluff above the Mississippi. Mile 23: Dale smiling after having finished the 11% climb on Route 3. 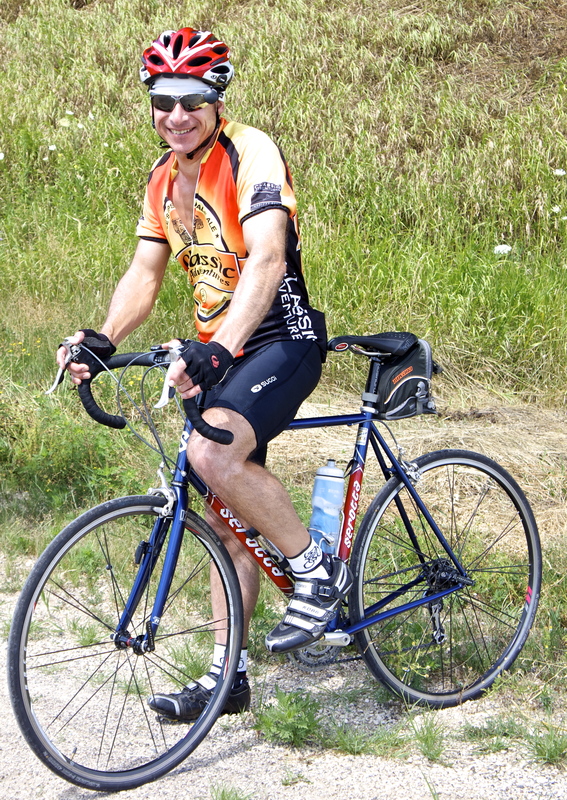 Mile 23: Doug smiling as he takes off for the remaining ride to La Crosse after a SAG wagon break. 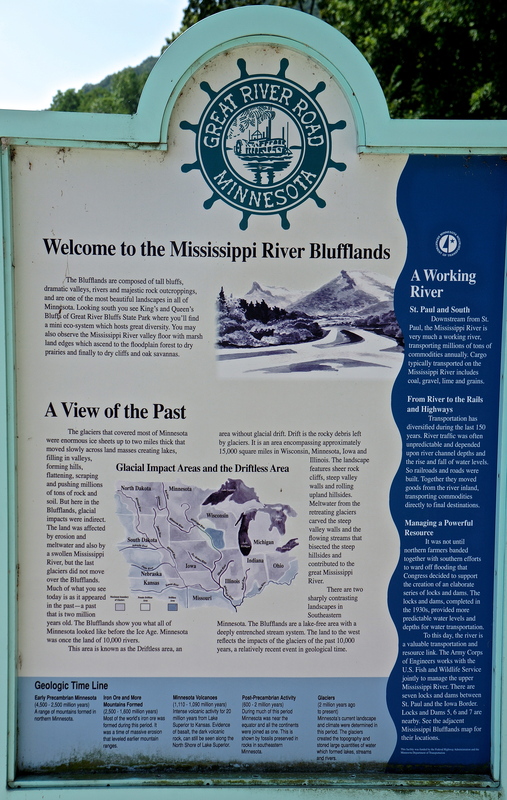 Mile 26: View overlooking the Mississippi from the bluff on Route 12 near Nodine, MN. 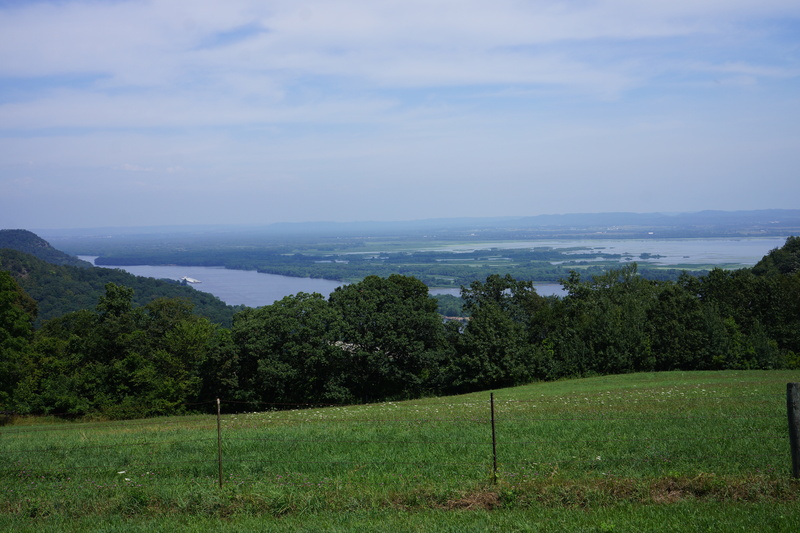 Mile 28: Another view overlooking the Mississippi from the bluff on Route 12 near Nodine, MN. 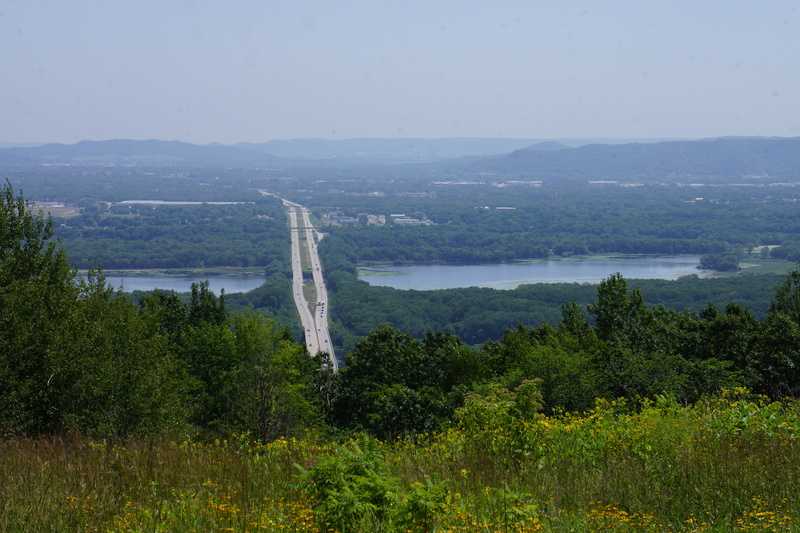 Mile 31: View from Route 1 in Minnesota of Interstate 90 crossing over the MIssissippi near North La Crosse, WI. 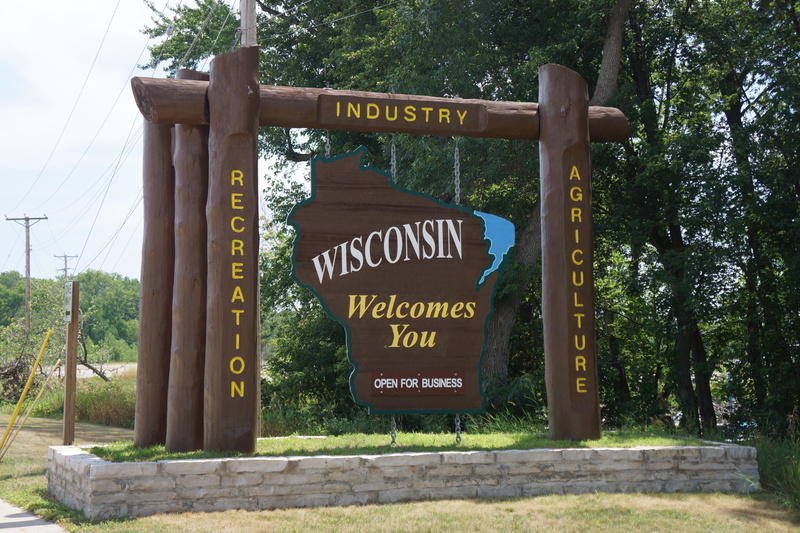 Mile 34: Entering Wisconsin and La Crosse after having crossing the Mississippi. Unfortunately, no one was around to get me in the picture. 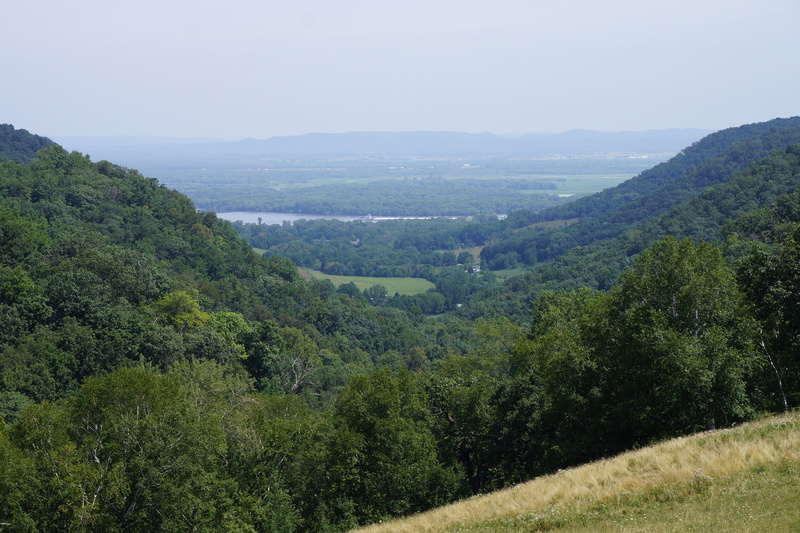 View looking north from Grandad Bluff above La Crosse, WI. 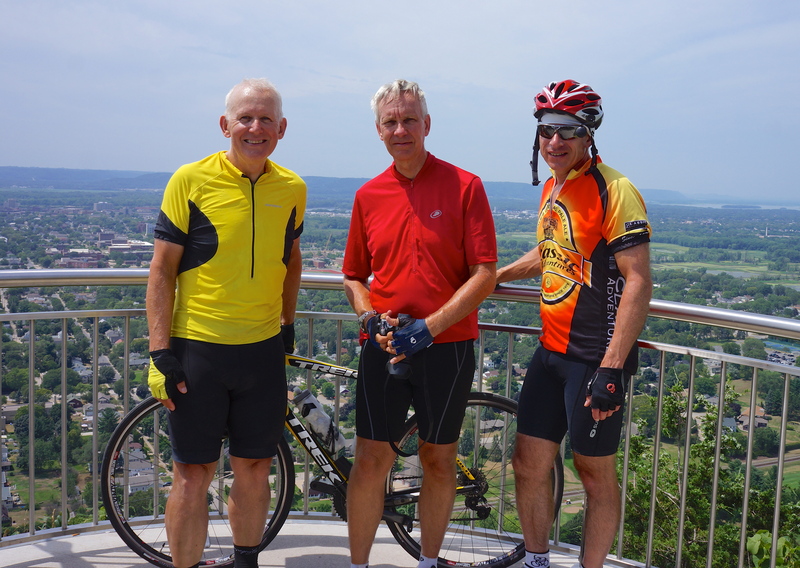 Jim, Doug and I after a five mile ride and climb to Grandad Bluff above La Crosse, WI. 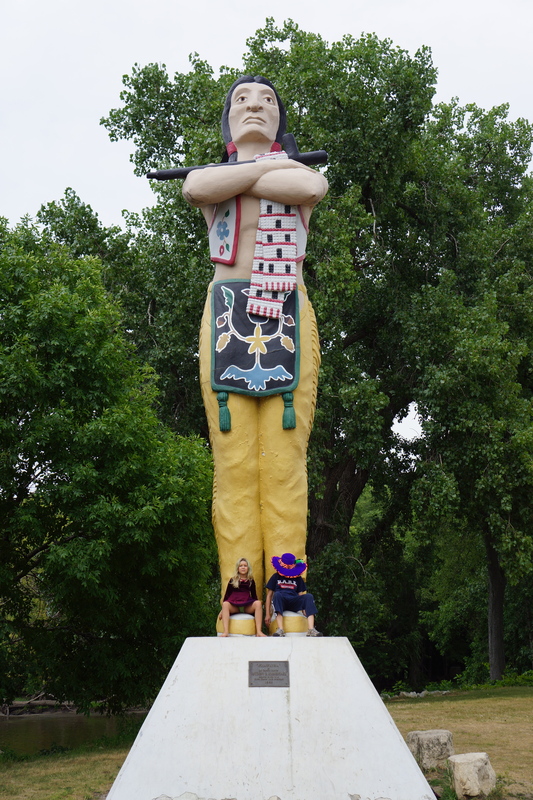 Sculpture of Hiawatha in the Mississippi waterfront park in La Crosse, WI. 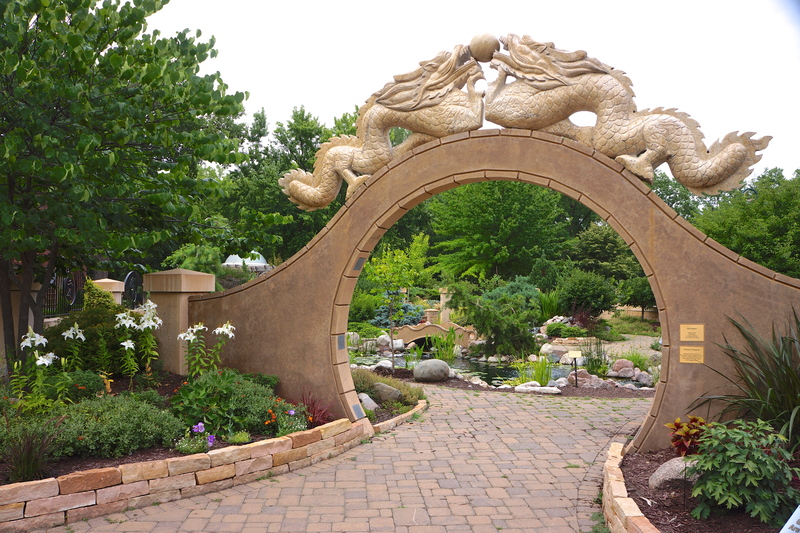 Garden at the Mississippi waterfront park in La Crosse, WI. 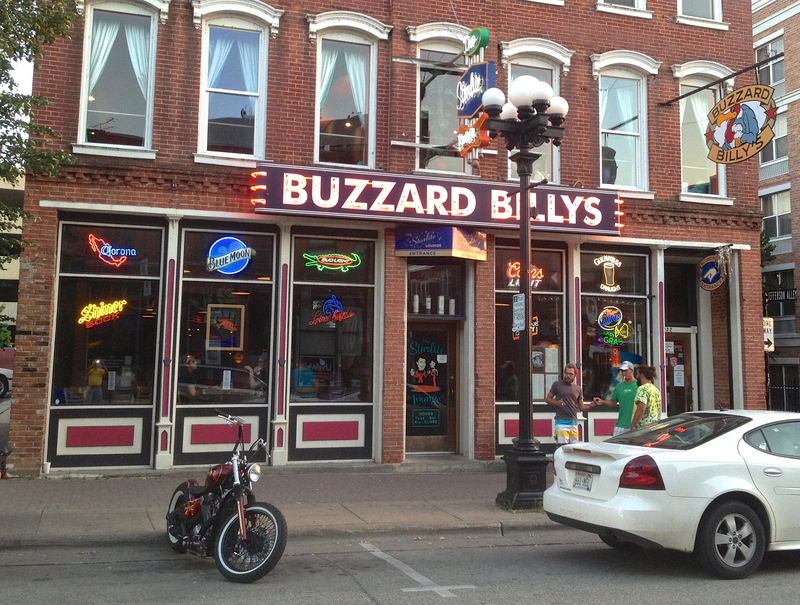 The fact that Buzzard Billy’s was across the street from Pearl’s Ice Cream Parlor had no bearing on our choice. 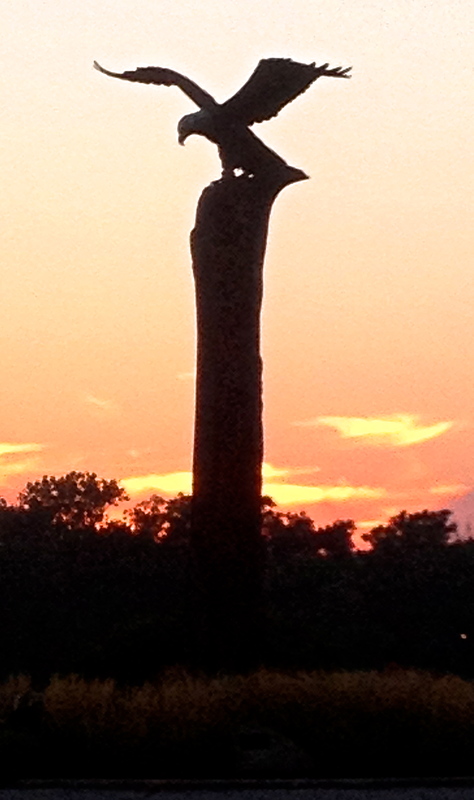 After dinner I went for a walk along in the Mississippi waterfront park. 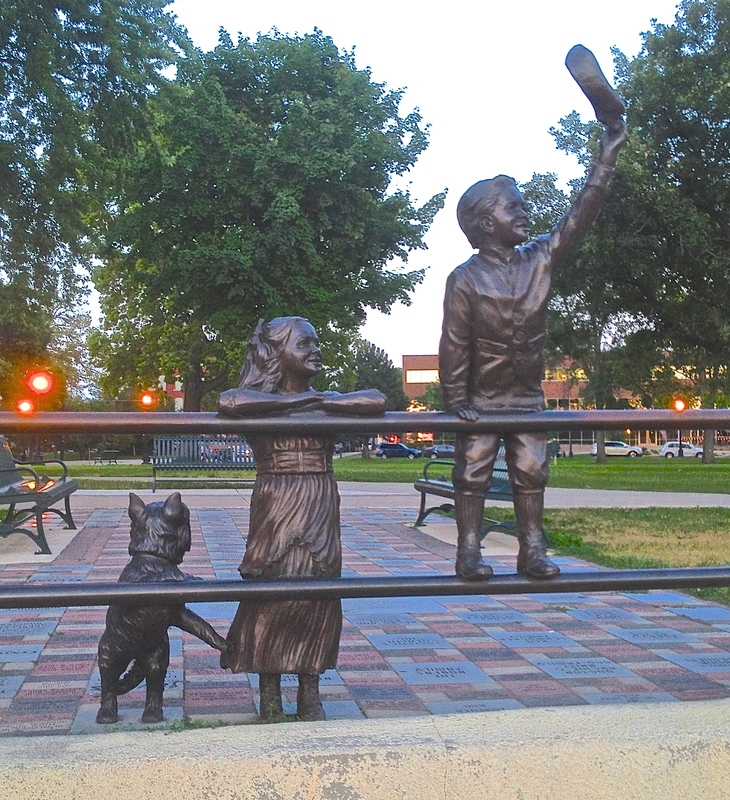 This is a monument in the park. 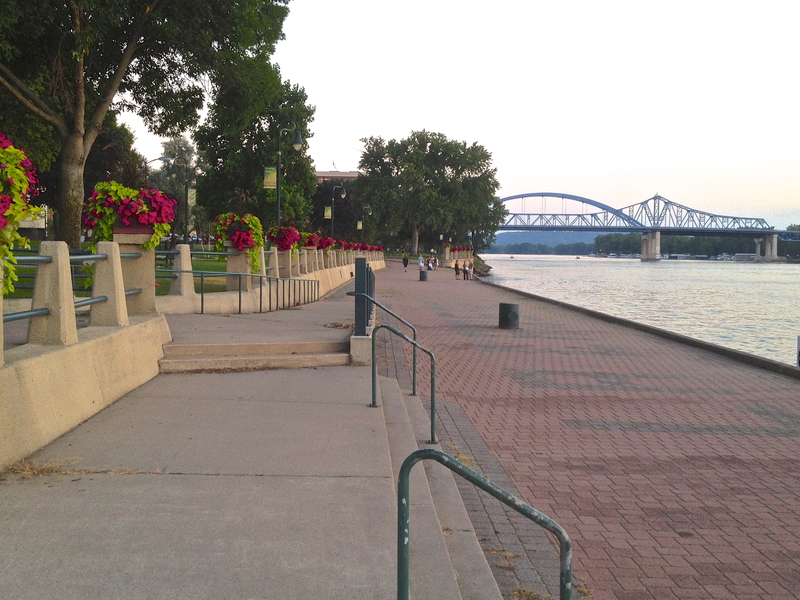 The riverfront walking path in La Crosse, WI. 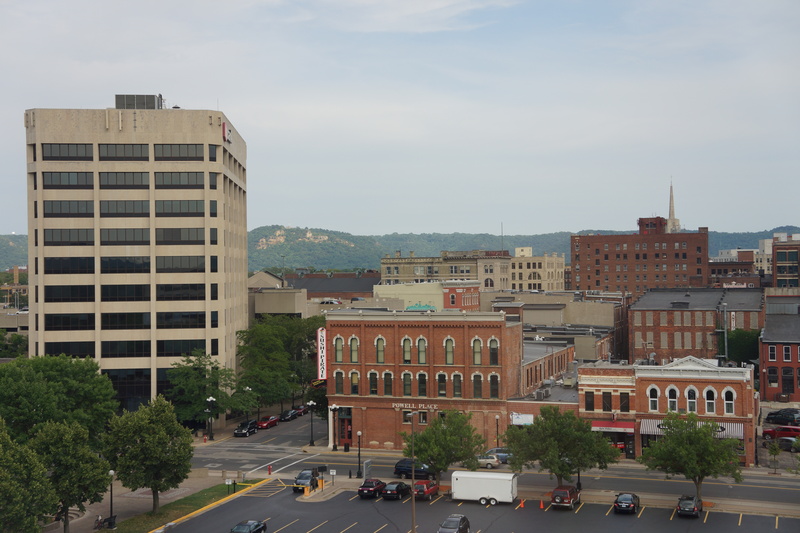 View from my room at the Radisson in La Crosse, WI. In the distance you can see the cliffs which are below Grandad Bluff. This entry was posted on July 23, 2012 by Steve. It was filed under Photograph of the Day .